Discussion in 'iPhone Accessories' started by johnc22, Oct 10, 2012. I have a simple Speck Pixel skin case and received my adapter today. Unfortunately the lightning end of it is too short to make a connection through the depth of the case. I suspect that this will be an issue with most cases. Alternatives, or cases that allow the adapter to work? Yea, any case that covers the bottom portion of the phone in any way will likely cause this problem. Should have bought the .2m variant. Yeah you should return it and get the 0.2M adapter cable for 39.99. It'll probably be a better investment in the long run. Just got the adapter and it doesn't work with monoprice bumper. I have to take off the bumper, in order for it to charge. Just don't get why they didn't come up with a better design. I have 4, 30 pin cords, so I went with the adapter. I'm waiting for the Sena Leather Skin to come in, hopefully the adapter will work with that. So you bought a bunch of adapters for your cords? You know the adapters are more expensive than new cords, right? Yeah, I know! Thought it was the best way to go, not ANYMORE!! except the cable housing is larger on the adapter cable so even that might not work with some of the cases cut to fit the original cable. I bought a Case-Mate pop-out stand case and that works with the adapter. Waiting for the Sena, then I'll see where to go from there. Just got mine in the mail today and it also does not work with my iPhone 5 case! I called Apple and the person I spoke with also agreed it did not make sense and would pass along the complaint. Meanwhile, the comments and rating is still not up, so I cannot warn others. My guess is that cases and docks will adjust to the new connector but for now I took the scalpel to my Speck Pixelskin HD to widen the space on the bottom so the adapter now fits, but I'll be looking for another case in the meantime that offers good protection (maybe hard case over rubber inner case) and also allows use of the adapter and other docks. That's some poop right there. 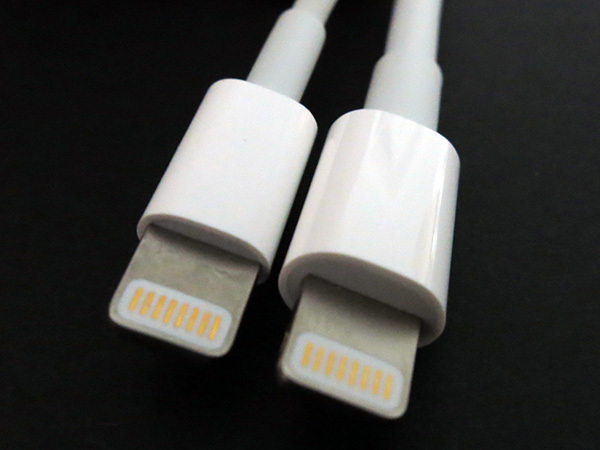 I bought two of the 0.2m cable versions. Delivered today. Work great with my Belkin case. But I can see how the non-cable version would have some problems with thick cases that cover the bottom completely. I actually prefer to use feather-type cases which don't cover the top or bottom and avoid problems like this altogether. But the 20cm cable version works great. You mean the Apple designed adapter didn't work the third party case?! I'd either take off the case each time you use it ( a hassle, but not apples fault) or return and like others have said spend the extra $10 to see if the more expensive version works.